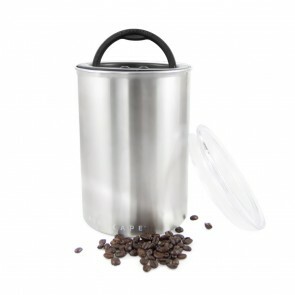 Store your beans confidently with a storage container from Seattle Coffee Gear! While it would take quite a while for your beans to actually spoil, exposed beans still lose their flavor when they are not stored properly. If you’re spending a little extra for those special high-quality beans or simply want to preserve that well-loved flavor from your go-to blend, investing in a quality coffee storage container is a must for your home or cafe. No matter your style or storage preference, we have great options from trusted brands at Seattle Coffee Gear. Read on to learn more about the benefits of our coffee storage products and discover why you should be adding one (or several) to your kitchen. For a great cup of coffee, you need to store your quality beans properly to maximize freshness and flavor. Once your coffee beans have been roasted, some of the worst things you can expose them to are air, moisture, heat and light. Storing your beans in an air-tight storage container can do wonders for preserving that great blend taste that you love so much. By investing in a durable quality storage container like those available here at Seattle Coffee Gear, you can take your coffee experience to another level simply through preserving flavor. Not only is coffee storage extremely beneficial for preserving bean flavor—it’s also a great way to keep your counters organized and in order. 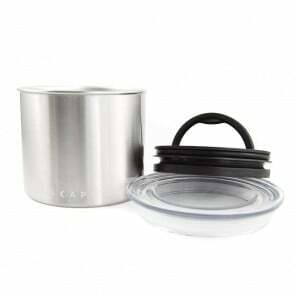 Having your beans and grinds stored in an accessible and mess-free location can do wonders for the brewing experience. At Seattle Coffee Gear, our selection of storage options can accommodate all kinds of styles and functions for every kind of coffee drinker. Whether you are looking to spruce up your home kitchen or make your coffee shop a bit more professional, our selection of storage containers has solutions like AirScape that will work for you.